So you’re reading this as you’ve most likely been considering taking a driving holiday in the UK and/or Europe, and you’re either trying to find information on how to do it yourself or you’re nervous and want to join up with a group driving trip. Well we can help you with the latter. 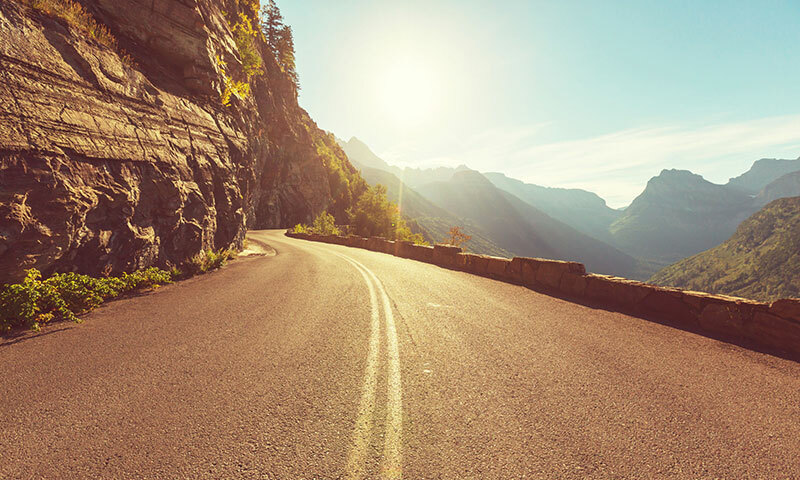 We’ll take you on the best driving roads in the UK and Europe, through the Scottish Highlands, the Irish National Parks, and the French, Swiss and Italian Alps. We include some of the ‘big name’ passes, such as Stelvio Pass and the Susten Pass, but we also take you to many of the lesser known roads – after all we like to take you on a driving adventure discovering new places along the way. On our driving trips we provide you with suggested routes (in a handy printed booklet) that are tried and tested – to get you safely to your hand-picked hotels each evening to relax and kick back. For our mainland Europe events your return channel crossings are included. All you have to do is get your car prepared, pack your cases and turn up – we do the rest. Unlike taking a driving holiday on your own you’ll be with a group during the trip. So there’ll be people to drive with you, to chat to, help with directions and more. Having said that should you choose to you can take time out and explore alone, that’s the beauty of a Slap Adventure. Our road trips are different each year but we always base them around a navigational adventure. Each day you will be given your final destination (a quality hotel with parking included for your pride and joy) and via our printed tour book you’ll have navigational waypoints to guide you on the best route each day. Bring a satnav, European Road Atlas and a dollop of common sense and you’ll have great fun driving in Europe with your fellow ‘slappers’. If you’ve not got it by now by the way the name ‘Slap’ was inspired by our love for driving in the ‘Alps’. The road surface, the camber, the views, the turns, those twisty sections, the forests, the tunnels (oh the tunnels)… the whole package just makes you feel amazing and reminds you just why you have that passion for cars. Talking of cars we really don’t mind what you drive on a slap adventure. It’s not all about big power supercars (though the sound of a bellowing V8 / V10 / V12 in the hills is always a joyous one) – you can have just as much fun in a hot hatch with some sticky rubber and a good set of brakes. With such a mix of roads thrown into each of our European road trips every car has a different USP to thrill and delight you throughout the event. If you’ve got this far then all that’s left for you to do is slap yourself and get booked on a driving adventure with us now.